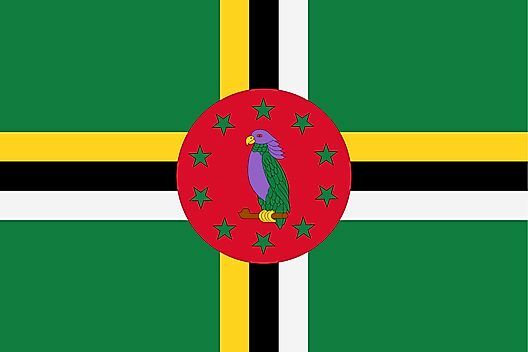 Coat of Arms: The Dominica Coat of Arms consists of a shield, with two Sisserou Parrots bracing the shield on top of which is a lion. 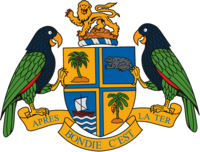 The quadrants of the shield show a canoe, a banana tree, a palm tree and a frog. Below the shield is the national motto "Après Bondie C'est La Ter" meaning "After God the Earth". Motto: "Après Bondie, C'est La Ter." "After God is the Earth."